Did you know you can earn money by shortening URLs? Well, you can. Shortening URLs is the new way to earn money online. It is easy and does not require any special skills. I bet you are dying to know how it works. Well, let’s start from the beginning. URL stands for Uniform Resource Locator. A URL refers to the location or address of a resource in the computer network.Shortening URL is a revolutionary way in which a long “ugly” URL is shortened into a more appealing version. This is done by use of a tool that essentially changes the domain name and redirects users to the resource they are looking for. 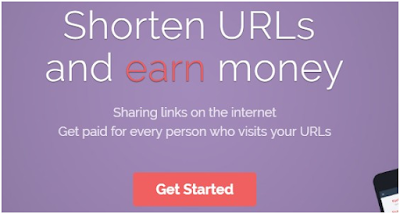 The opportunity to earn money by shortening URLs is provided by Shorten URL service providers. There are numerous such providers top of which is ouo.io. OUO is the fastest rising Shorten URL service provider in the market. In this article, we will discuss the way to make money on OUO by shortening URLs. There are numerous reasons why you would need to shorten your URL. Let’s look at some of them. Some sites and social media platforms have character limits. A good example is Twitter which allows only 140 characters per tweet. Often, website links are long and may even exceed the 140 character limit in the case of Twitter. Using a shortening URL tool can shrink your website address to a maximum of 24 characters. This way, you can post your link as well as a Meta description of your resource. Shortening your URL turns a long endless website URL into a short, easy to handle address. You can insert it into a text, a tweet, or share it on any other social media platform without appearing bulky. The short domain name is memorable. Your target audience will find it easy to write it down or memorize. In the world of online traffic, stats about the number of clicks or views are very important. They are used by owners of online businesses to determine if and when their popularity begins to wane. Some of the URL shortening service providers offer stats on the performance of your website as far as your short link is concerned. With this information, you can determine if you need to explore other marketing strategies or stick to what you have. In a bid to increase traffic to your site, you may need to advertise your resources on different sites. Having a seemingly endless website address will do nothing as far as capturing the attention of the audience is concerned. Wherefore, you need a URL shortening tool to give you a compact appealing domain address that the audience will be drawn to. 1. Click here and click on the get started button in the middle of the homepage. 2. 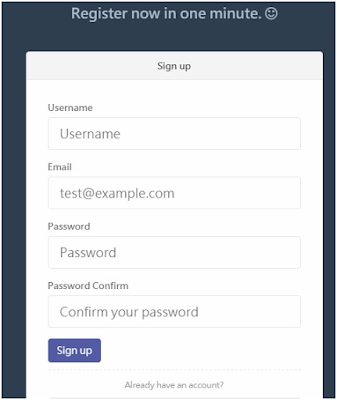 The resulting page will require you to enter your name, email address, and password to create a new account. 3. Now that you have an account, paste your preferred long link in the box with the words “Your URL Here” then click on the icon at the end of the box. This will generate your new short link that you can copy and share with your friends and on various platforms. It is important to note that sharing Shorten URL is not allowed on Facebook unless it’s a Business or brand. The best sites to share your Shorten URL are; YouTube as a comment, Yahoo answers, Google+, Yelp, Pinterest, Twitter, Buzzfeed community, LinkedIn, and WikiHow among others. Once you have an account ready, begin to add Short links to your account by clicking on the “New Shorten Link” button to change your long link into a short link. We found the user interface on the OUO site to be super simple and clean. 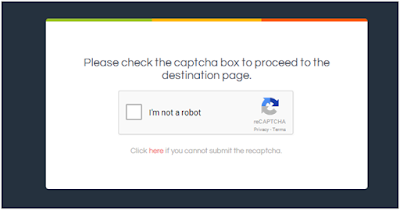 When your audience clicks on your shortened link, they are first redirected to a Captcha dialogue box as shown below. OUO provides useful stats to assist you in managing your shorten links. There are stats about daily views, daily earnings, monthly earnings, total earnings, stats on each link, and eCPM all in real time. Perhaps the most appealing feature about OUO is the fact that all views, even repeat views from the same user are counted. A quick link is for the user who needs to frequently shorten different links. 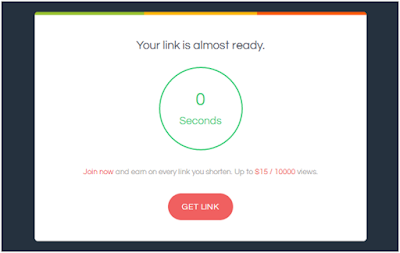 The quick link will shrink your link without having to sign in to your account. This feature is for shortening multiple links at once. All you have to do is add all your long links in a list and then click submit. Use this feature carefully to avoid misuse. Converting a bunch of URLs that are never used can be deemed as misuse. The feature can be withdrawn from your account. If you are a busy admin with 100-1000 links in your site, this feature will assist with that. You can customize it so that all outgoing links will be shortened and all internal links will remain the same. All new outgoing links will be shortened automatically. How Many Views on YouTube to Get Paid? How Much Do You Earn on OUO? OUO is one of the best paying Shorten URL service providers in the market. The least payable CPM is $1.5 for the most obscure audiences. The USA, the UK, Norway, and Australia are the highest paying audiences with $4-$4.7 CPM. OUO pays through PayPal and Payza. The least amount that you can withdraw from OUO is $5. Once you have been paid for the first time, the payments are automated for 1st and 15th of every month. If your balance does not amount to $5 it will be payable in the next cycle of payment once it reaches the $5 threshold. Earning money by shortening URLs is still fairly new in the market. Though there is no shortage of Short Link service providers, OUO is a great place to start.Sign up and get started on your new venture. If you have any remarks or reviews about your experience with OUO, feel free to post them below. Message: I hope that you have enjoyed 'How to Earn Money on Short Links - An Ultimate Guide of 2018' article on Tips2secure. However, if you want me to deliver more items, then please share my post. You can use Social Sharing Widget provided at the end of every post. After all, Sharing is Caring!